▪ Mid-tier U.S. graduate business schools are struggling. The 30 schools ranked 21 to 50 in the nation reported a 42 percent decrease in recruiting by companies in 2016. Wake Forest, the University of Iowa, and Virginia Tech have all recently discontinued their full-time MBA programs. ▪ Amazon’s stock price spiked over Thanksgiving, pushing founder Jeff Bezos’ fortune above $100 billion for the first time. The 53-year-old is the first billionaire to hit the 12-figure mark since 1999, when Bill Gates did so. ▪ The latest estimate of economic growth showed the U.S. economy grew 3.3 percent in the third quarter, the strongest figure in three years. The U.S. economy has registered growth of at least 3 percent, President Trump’s stated target, in each of the past two quarters. ▪ British band Coldplay completed its 114-date Head Full of Dreams world tour last month in Argentina, earning $523 million in ticket sales. 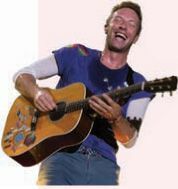 The tour was the third-highestgrossing of all time, behind only U2’s 360 tour, which grossed $784_million from 2009 to 2011, and the Rolling Stones, who grossed only slightly above Coldplay with their Bigger Bang shows a decade ago. ▪ Mumbai International Airport last week set a record for the most flights ever handled by a single-runway airfield in one day, with 935_takeoffs and landings. Due to a shortage of land, Mumbai’s airport has two crisscrossing runways that cannot be used at the same time, instead of parallel runways such as those found at other major global hubs.